One of my dreams as a photographer is to be published in a national publication. Since I started shooting shows, I've always hoped I'd make it into the pages of one of my favorite music magazines, Alternative Press. For the last 3 years I've worked really hard to impress the editors at AP and hopefully land a spot in print. Well, that day has finally come. 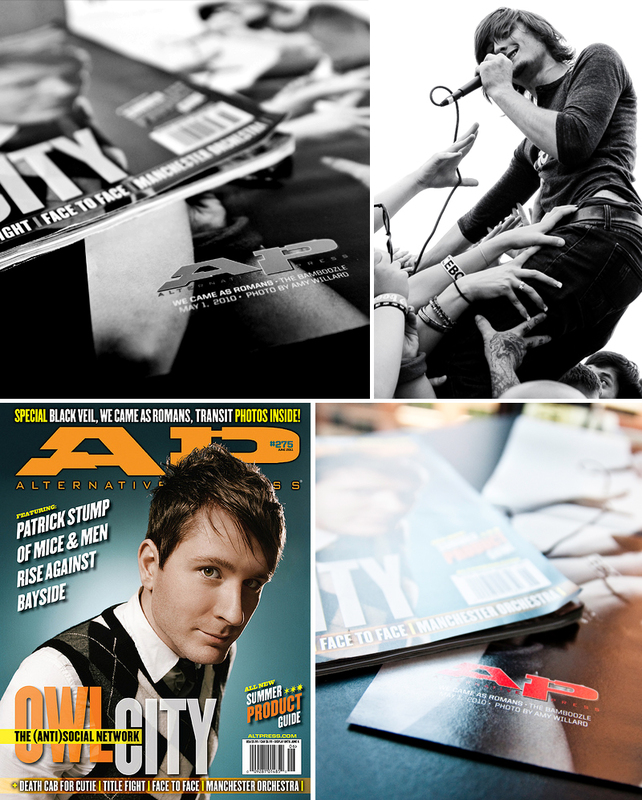 You can check out my shot as a poster in the June 2011 issue of Alternative Press magazine on newsstands now!